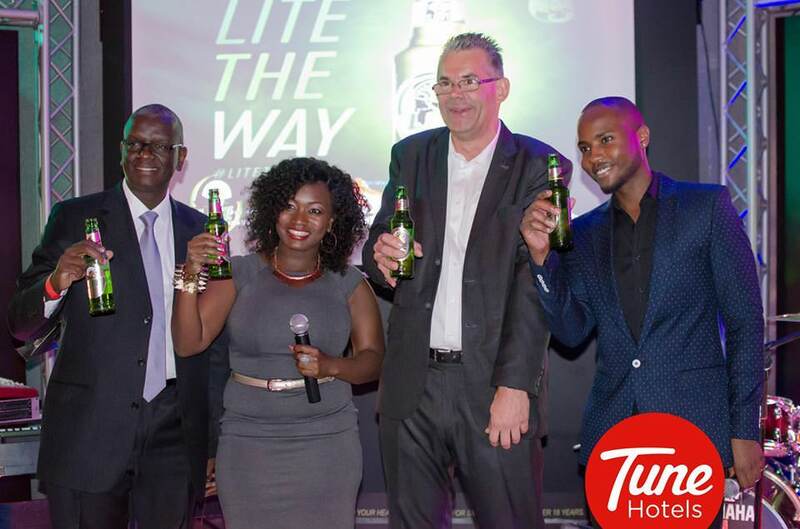 On Tuesday 27th September 2016, the team at the Tune Hotel Nairobi, Westlands proudly opened the brand new Tusker Lite Sky Bar. A launch party attended by various celebrities was held to officially unveil the rooftop bar on the eleventh floor of the new hotel. This exciting new destination for hotel guests and the public is sponsored by the famous Kenyan beer brand, Tusker. The Tusker Lite Sky Bar hosts a Quiz Night every Tuesday, Latin Nights with dance classes on Wednesdays and a Live Jazz Band on Thursday nights. The team at the Tusker Lite Sky Bar looks forward to welcoming you!